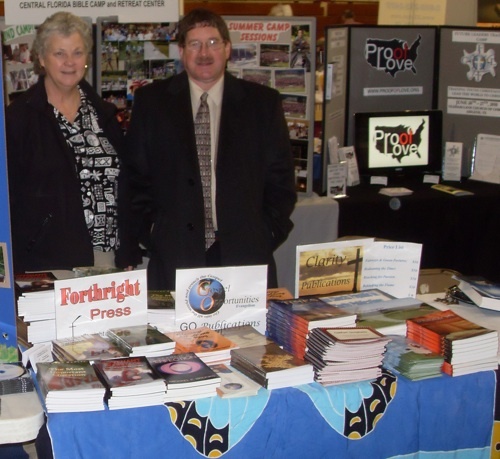 Barbara A. Oliver and Forthright Magazine columnist Stan Mitchell at the FHU Lectureship book exhibit. 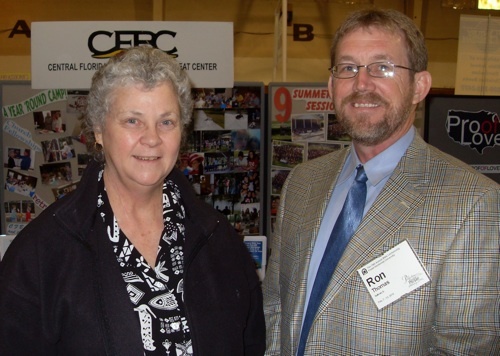 Barbara Ann with Ron Thomas, contributor to The Fellowship Room. This entry was posted in Exhibits and tagged Exhibits, FHU, Lectureships on 2010-02-10 by J. Randal Matheny.